Commonly now referred to as the “Miracle at Mehinah”, the 2012 playing of this biennial match was one of the most dramatic ever, featuring one of the greatest comebacks in Ryder Cup history. Sunday saw the European team claw back an improbable 4 point deficit, as the US led 10-6 going into the singles matches. Martin Kaymer’s five-foot par putt on the 18th green to defeat American veteran Steve Stricker ensured Europe would retain the cup with one match still in progress. With Francesco Molinari gaining a half on 18 against Tiger Woods, outright victory for the European team was secured, 14.5-13.5. The victory signified five wins in the last six for Europe, with European captain Olazabal dedicating the victory to the late Seve Ballesteros. In a week plagued by bad weather on the newly constructed Twenty Ten course at Celtic Manor, a revised format was implemented to try and ensure the match would conclude on the Sunday. However, further rain resulted in a Monday finish for the first time in Ryder Cup history, with Europe taking a 3-point lead into the twelve match singles session. A spirited US fightback meant the final singles match between McDowell and Mahan would decide the final outcome of the 2012 Ryder Cup. After a crucial birdie on 16 by Graeme, and a fluffed chip by Hunter on 17, Europe retained the cup for the sixth time in eight matches, and secured an unprecedented fourth consecutive home victory for Europe. 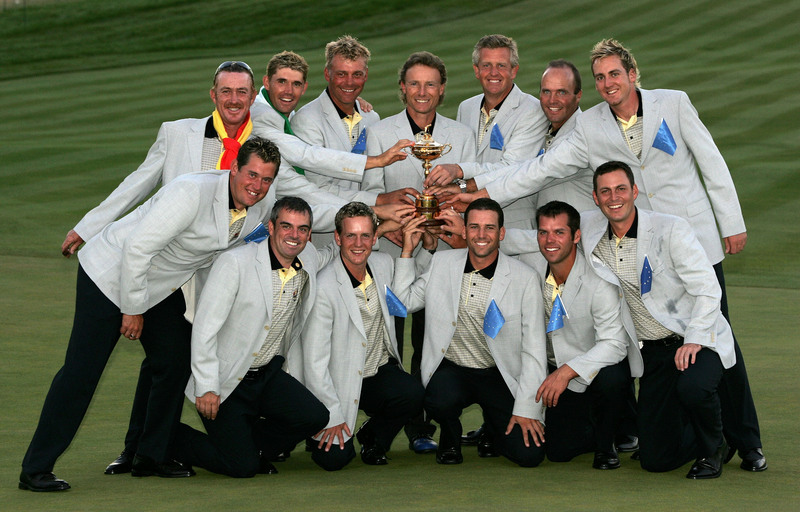 The 2008 Ryder Cup saw the US prevail as convincing winners, ending a streak of three successive victories for Europe. It was also their largest margin of victory since 1981. The US were in the lead from the very beginning, going into the Sunday singles two points ahead. This was a deficit that Europe had only ever overcome once, back in 1995. With the Americans wining a majority of the early matches, Furyk’s 2&1 victory over Jiminez clinched the Ryder Cup for the USA. The remaining matches on the course would go on to see the margin of victory increase further, with Nick Faldo being later criticised heavily for choosing to put his best players out at the end. 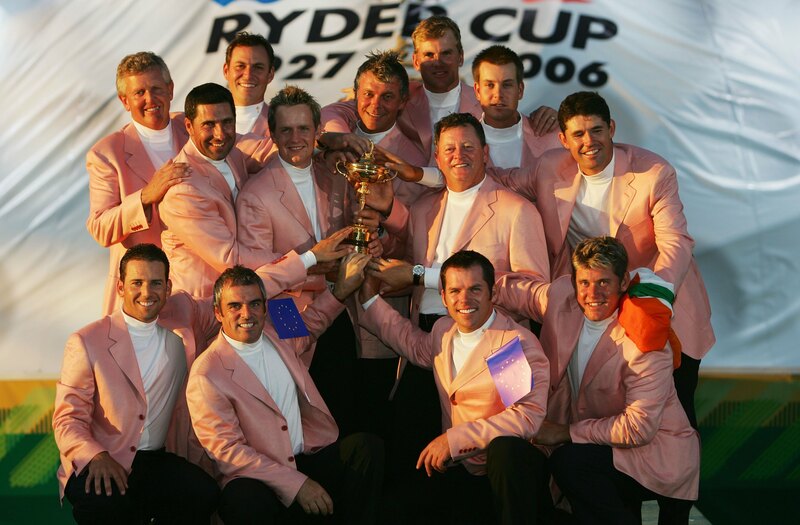 2006 marked the first time Europe had achieved three successive Ryder Cup victories, and they did it in convincing fashion with a final scoreline of 18.5-9.5 on the Arnold Palmer-designed North Course at The K Club in Ireland. 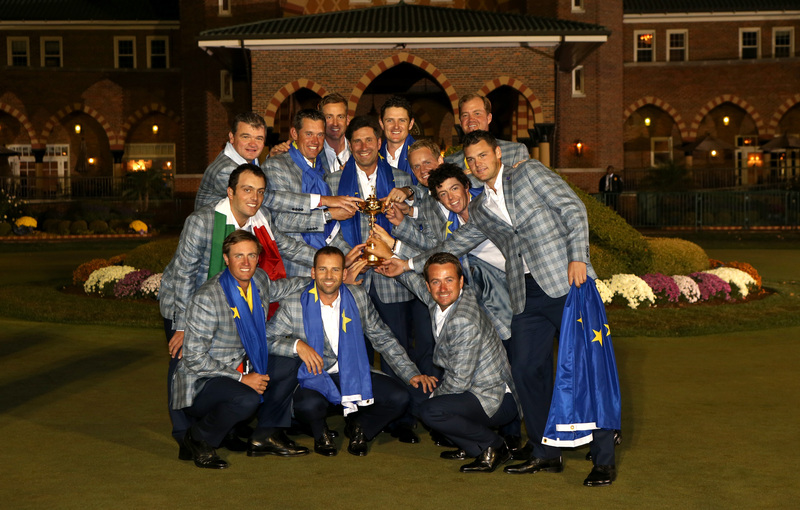 This score equalled team Europe’s record winning margin of 2 years earlier at Oakland Hills. Swedish rookie Henrik Stenson holed the crucial winning putt, only moments after Luke Donald won 2&1 over Chad Campbell to retain the cup for Europe. The singles matches again proved crucial, with Europe winning 8 out of 12, including a crucial 1up victory for Montgomerie over David Toms in the opening game, and then 5 out of the final 6 matches. 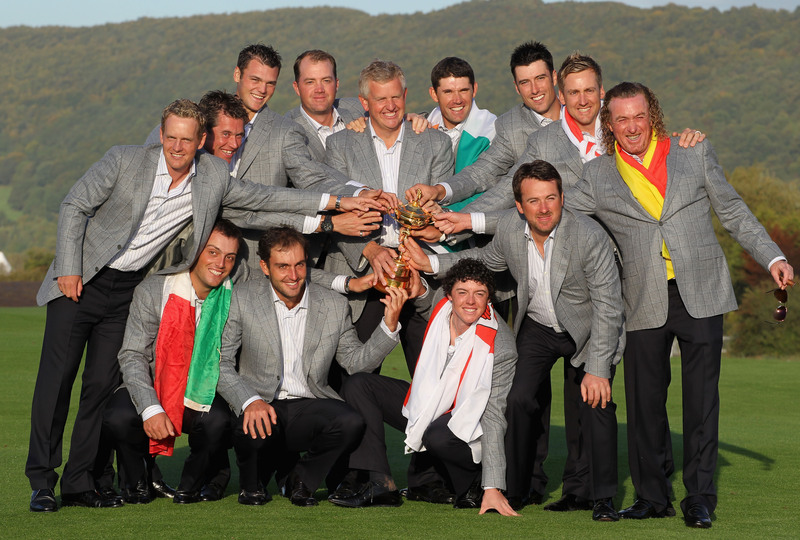 Europe dominated the 2006 playing of the Ryder Cup, winning by the largest margin of any European team in the history of the event. It was also the biggest margin of defeat for a US team on home soil, as well as their worst ever defeat since the inception of the Ryder Cup in 1927. Europe started strongly, winning the opening fourball session 3.5-0.5 and would go on to extend this lead by winning three of the afternoon foursomes matches. This lead proved too much for the US to overhaul, and despite only winning 1 of the first 4 singles matches on Sunday, Europe went on to claim a historic victory.